If you are interested in hosting a workshop or event, in below you find an idea of the subjects I teach. Teaching U11 players through Movement Situations in basketball. Congress of MiniBasket. Strasbourg. August 25. 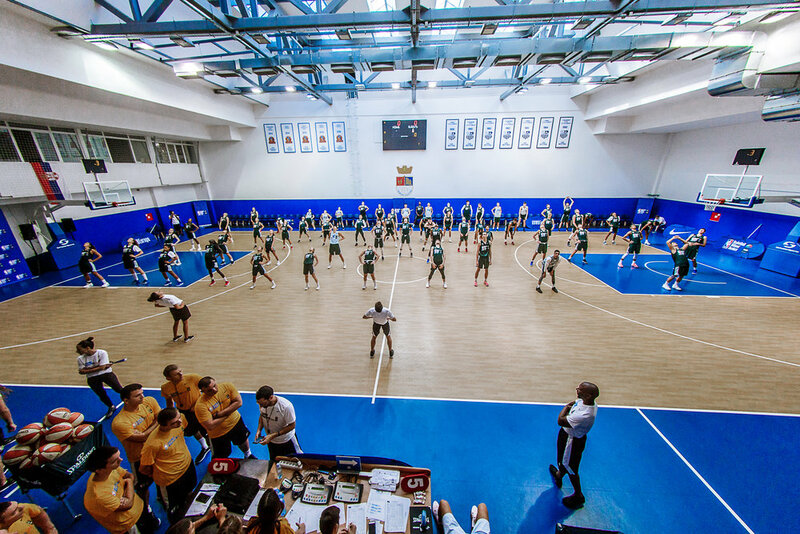 Athletic Development at NBA Basketball Without Borders Europe Camp. Belgrade. August 13-18. Movement Situations and Athletic Leg for basketball players. Prague. June 27-29. Building The Modern Basketball Player Private Camp, Italy. 8-10 June. Athletic Development at Jr. NBA Europe Camp. Slovenia. April 26 - May 3. Inspire by Fighting Monkey. Slovenia. Vigor Ground Ljubljana. April 25. Inspire by Fighting Monkey. Geneve. April 14-15. Movement Masterclass. Zurich, Switserland. September 23-24. Building The Modern Basketball Player Private Camp, Milan, Italy. September 7-9. Building The Modern Basketball Player Private Camp, Copenhagen. June 3-5. If you want to work together or want to know more, send me a message at olivier.goetgeluck@eliteathletes.be or call +32474244941.